The use of objective measurements is essential to assess disease progression and to evaluate the effectiveness of rehabilitation protocols and clinical treatments. The purpose of this study was to develop a touch-screen application, that we named 15-White Dots APP-Coo-Test (15-WDACT), able to carry out quantitative and objective measurements of the rapid and coordinated upper limb movements, typically impaired in patients with cerebellar ataxias (CA). A total of 87 CA patients and 170 healthy subjects participated in this study. The subject was asked to touch with their index finger a white dot, appearing consecutively and randomly on the screen at different positions, for a total of 15 dots per session. The score is the execution time of a single session. 15-WDACT measurements have highly correlated with the scores obtained with the Scale for the Assessment and Rating of Ataxia (SARA), with the Composite Cerebellar Functional Severity (CCFS) and with the measurements obtained using two validated evaluating systems, i.e., the Nine Hole Pegboard test (9HPT) and the Click Test. We also observed high internal consistency and an excellent intra-rater and test–retest reliability. We found a small Standard Error of Measurement (SEM) and an excellent Minimal Detectable Change (MDC), indicating that even small variations in the 15-WDACT measurements are to be associated with real changes in performance. 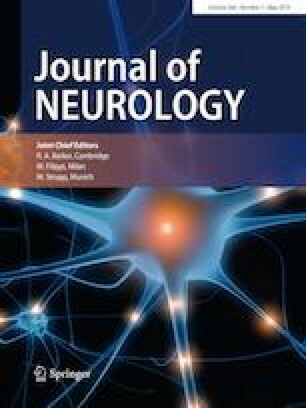 We have concluded that 15-WDACT is an easy, fast and reliable tool to assess the severity of the upper limb ataxia in patients with CA. The online version of this article ( https://doi.org/10.1007/s00415-019-09299-9) contains supplementary material, which is available to authorized users. The manuscript has been approved by all the authors. The authors declare that they have no financial kind of relationships that might lead to a conflict of interest. This study was conducted in the Department of Medical and Surgical Sciences and Biotechnologies, “Sapienza” University of Rome, at “Marco Pasquali” Institute—ICOT (Latina), from October 2016 to September 2018. All patients who participated to the study were informed of the use of measurements for research purposes and gave their written informed consent. All the procedures performed were in accordance with the ethical standards of the institutional and national research committee. The regulations of our institution concerning intellectual property has been respected. The ethical standards, laid down in 1964 Declaration of Helsinki and its later amendments, were respected.